The current silver trading environment reminds me of driving down an unfamiliar dirt road in a fog storm. You barely know where you’re at and you certainly have no idea what’s ahead. 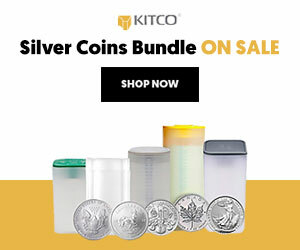 The markets are always unpredictable, especially silver, but it’s hard to remember the last time silver had so many different currents that could take it sharply in either direction. For traders that thrive on chaos and volatility, the setting ahead is intriguing. Below, I’ll layout the bullish and bearish market factors and potential scenarios at play for silver traders. First things first. 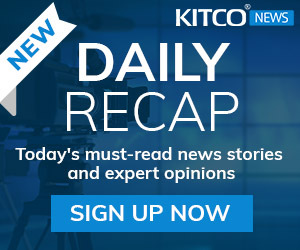 If you’re initiating positions or trying to front run a trade based on the ‘headline to headline’ Greece drama, stop it. There’s a tighter correlation to silver movement and Tiger Woods’s Green Jackets than there is to silver direction and the Greece drama. -The Greece situation. Yes, the Greece situation. The currency markets are extremely fragile and susceptible to sharp (mostly unsustainable) movement on headlines. 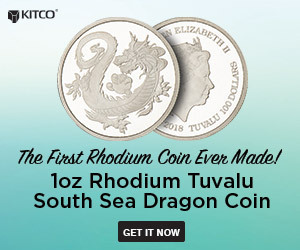 This can and will influence the silver market dramatically. 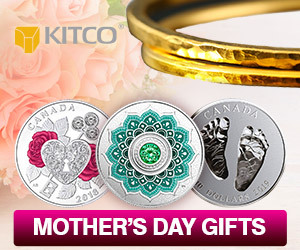 Although the stronger dollar/lower silver correlation comes and goes, and at the moment isn’t a great correlating indicator, a retest of the old highs in the dollar index at par could be just what the bear camp needs to spark a massive selloff that takes out the old March and November lows at 15.30 and the 14.80. There was once a time when scenarios like this were an excuse for the precious metals to rally sharply because of the ‘flight to quality’ or ‘safe haven’ status. Seeing silver at 4 year lows in the face of a massive easing from the ECB and the Greek dilemma, ‘flight to quality’ is beyond laughable. -The treasury markets. During April and May, higher yields in the 30yr and 10yr were a sure fire sign that gold and silver were heading lower. This relationship has soured a bit over the last month but because the memory of this correlation is still fresh, this is something to follow very close. If yields on treasuries continue climbing in dramatic fashion (AKA bonds crashing), look out to the downside. Couple higher yields and a sharply higher dollar and you have very strong bear ingredients. -We’re in a long term bear market. Um, no kidding. And this is probably the most supportive thesis as obvious as it seems. Be careful overlooking this aspect. It’s easy to get caught up in the day to day, week to week market activity and get too close to the trees to be able to see through the massively long term bear forest. Every rally over the last two years has been quickly met with a wave of selling pressure and unsustainability. The breakouts have been as false as my grandma’s teeth. Perhaps the memories of the bull run to $50 in 2010 and 2011 are still very fresh which, in turn, causes shorts to panic and become paranoid with each short covering rally. At the moment the bears are on comfortable footing until the $17 level is breached. Only a convincing close above $17.50 should make the long term shorts think twice. -Commitment of Traders. Over the last month large specs have trimmed long positions dramatically as the commercials have slowly decreased the size of short holdings. Each time over the last year that we have seen similar activity in the CoT is when the market has witnessed the short covering rallies. Most recently being in December, March, and April. How sustainable is the long term bull thesis solely based on the CoT? Not very. But on a shorter time frame, over the next couple of months, it’s a solid indicator and has provided a nice relief trade to the bull camp. And trust me, they’ve needed it. -Technicals. Yes this sounds counterintuitive because the long term trend is so bearish. But the market has found a strong bottom which is evidenced by the iron floor of support that’s been developing dating back to December. In addition to the series of higher lows on a weekly chart, there’s a 10 year trend line support level that comes in darn close to $15.50. Put it this way, it’s going to take a lot of power flush this market out. The strong support and basing in silver that’s been taking place coupled with the increasingly bullish CoT makes a nice recipe for a sharp rally higher. -Interest Rate Hike. Ya I know, in theory this is bearish as hell but I have news for you, a rate hike has been on the table for a year and at this stage must be baked into the short metals thesis cake. What a great excuse a rate hike would be to burn all of the sucker shorts jumping on board in anticipation of catching the last fumes of the four year bear market. Major short squeeze opportunity. You don’t think markets do this? Think again. This is as natural as humans breathing air. If the Fed hikes rates in September look for this to be a classic ‘buy the rumor sell the fact’ trade. All things considered I feel better about the bullish factors than I do the bearish factors in the short to intermediate term. Long term, the bull thesis has a lot of questions that need to be answered in order to reassert itself. Overall, the upside is clearly higher. Silver can only go to zero. The commitment of traders has been rock solid. The market is coming from $50 just a few years ago. My biggest concern for the bull camp is that sentiment still remains extremely bullish considering the circumstances of the market being near five year lows. This is almost mind blowing. In what other market would sentiment be so bullish in such an extremely bearish long term market? Ultimately the gold and silver bugs may have to end up feeling max pain before things get better. Meaning the market won’t go on a run like it’s capable of until the longs have completely thrown in the towel and felt max pain. I don’t know what it is and I can’t explain this phenomenon but that’s just the way the markets function sometimes. Good news for the bulls though if the market were to continue washing out. You are allowed to go short the market. 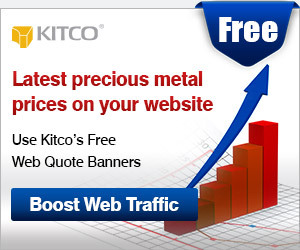 Silver is just like any other market, a two way street. Long St. and Short St. I’ve worked with too many traders married to the long position to count. It’s ok to diversify by using long puts or short futures as a hedge. That’s what I strongly advocate in this environment. With silver at such a critical point for bulls and bears, I can’t remember a better spot to trade the market two ways via a long options strangle. Some sort of ratio. 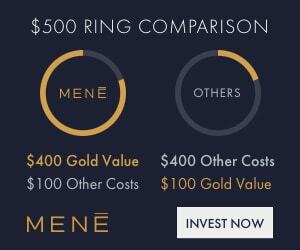 Long 3 calls to one put, or long silver calls and long gold puts, etc. Volatility is near five year lows, the support levels are at a tipping point, and the Commitment of Traders is heating up. Risk/Reward, it’s hard to find a better set up anywhere. If you have comments, want to discuss trading strategies, are interested in opening an account, or would like to receive iiTRADER’s morning silver market commentary send an e-mail or call our trade desk at the information below. Key Support is pretty cut and dry at 15.30 and 14.80.